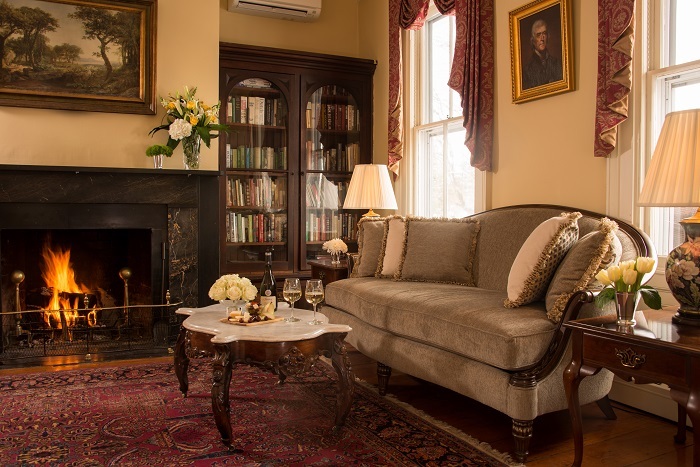 The Caldwell House Bed and Breakfast provides the first ornament then guests sip their way to a wreath full of trinkets at the “Fineries at the Wineries” event this holiday season along the Shawangunk Wine Trail. Are you up to the taste and decorate challenge? Each year the Shawangunk Wine Trail puts together its popular "Fineries at the Wineries" event where visitors get to sample wines at area wineries and accumulate trinkets to end their adventure with a fully trimmed holiday wreath. 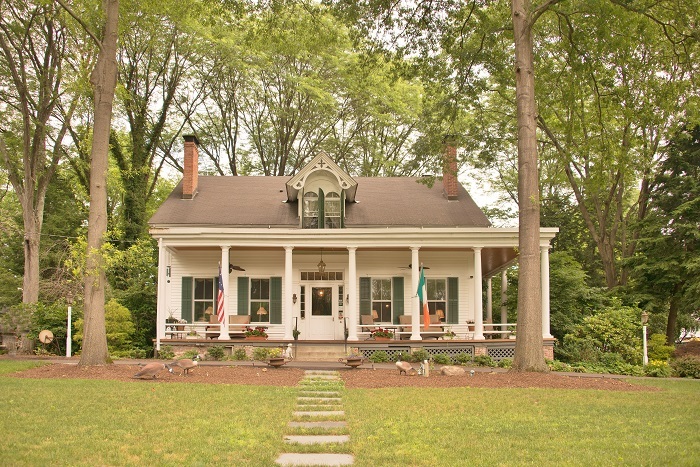 Now the Caldwell House Bed and Breakfast, located amid the region, will give guests a head start with a unique ornament. The Shawangunk Wine Trail will issue each couple that attends “Fineries on the Wineries” a handmade wreath and a wine tasting glass. Guests may then visit the more than two dozen wineries sipping the region’s finest wines and collecting their trinkets. The Fineries at the Wineries event takes place from 10 am to 5 pm on the following Saturdays and Sundays: November 18-19, December 2-3, and December 9-10. The participating wineries include: Adair Vineyards, Applewood Winery, Baldwin Vineyards, Benmarl Winery, Brimstone Hill Winery, Brotherhood Winery, Brunel & Rafael, Clearview Vineyard, Demarest Hill Winery, Glorie Farm Winery, Palaia Vineyards, Robibero Winery, Stoutridge Vineyard, Warwick Valley Winery, and Whitecliff Vineyard. Package price varies by room selection and duration of stay. Package costs starts at $400 plus tax; subject to availability. Groups of guests wishing to add-on a car service to drive to-and-from the various wineries should call the bed and breakfast as soon as possible and make arrangements in advance; car services in the area tend to sell out in advance – as do event tickets. Event tickets available online only; sales close on the Thursday before the event weekend; call B&B for promo code. About Caldwell House: The Caldwell House Bed and Breakfast is a multi-award winning member of the prestigious Select Registry and Diamond Collection groups of Inns. 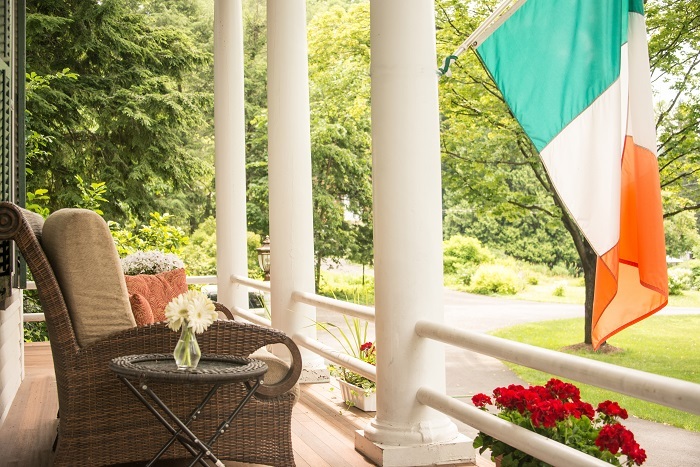 Located in the heart of the Hudson Valley– just 60 minutes from NYC by car or train is located close to the United States Military Academy at West Point, the Storm King Arts Center, Brotherhood Winery (and many of the Shawangunk Wine Trail Wineries), and the Woodbury Premium Outlet Mall. Some of the Hudson Valley’s most beautiful hiking/biking trails are within walking or easy driving distance. Built in 1802, this historic inn is full of many original features, antiques and original paintings, as well as modern amenities. Each guest room includes its own private full bath (several with Jacuzzi tub for two), smart TVs with Netflix/Hulu, free Wi-Fi Internet access, individual room temperature controls, iPads and more. The Caldwell House Bed and Breakfast is located at 25 Orrs Mills Road, Salisbury Mills, NY 12577. 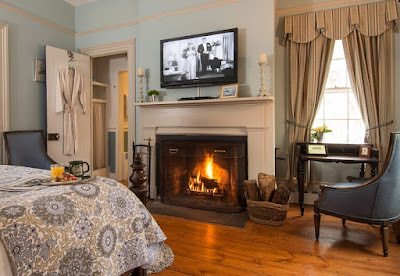 To make a reservation or additional information call 1-845-496-2954 or visit www.caldwellhouse.com. Also at: facebook.com/CaldwellHouseBandB.